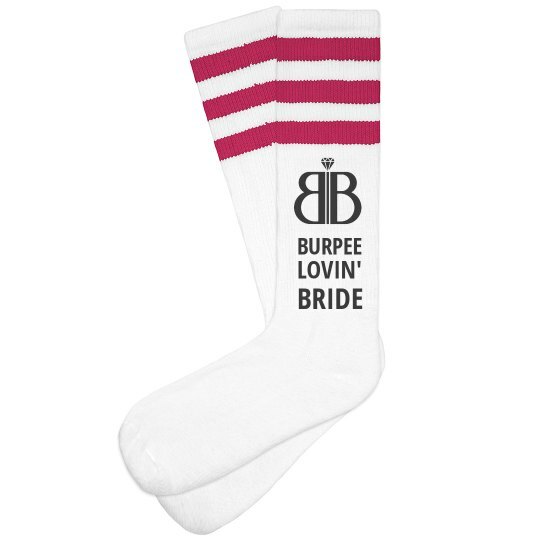 Are you a burpee loving bride? You'll have to be if you're hitting the gym to get fit for your wedding. Sweat in style with custom knee socks and workout gear.